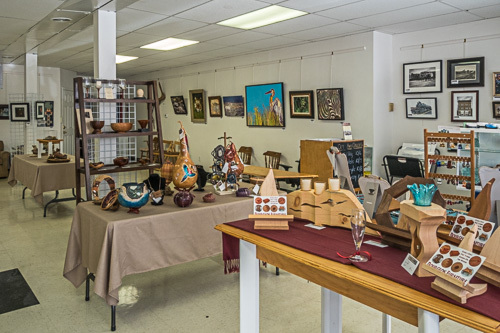 The Berkeley Art Works in Martinsburg, 116 North Queen Street in Martinsburg, will participate in the First Annual West Virginia Craft Week this October 2-11. The event is part of the nationally-celebrated American Craft Week. There will be a special open house in the gallery between 2 and 5pm on Saturday, October 3 in conjunction with Main Street Martinsburg’s Chili Cookoff. The Art Works gallery includes a co-op space that represents 18 artists and artisans plus an exhibit space. Currently in the exhibit space through October 4 is “Life in the Wild”, a national juried wildlife art exhibit. The the Third Annual Eastern West Virginia Regional Juried Art Exhibit will open featuring work from 28 West Virginia artists. Gallery hours are Wed-Thu 11-5, Fri 11-8, Sat 10-5, and Sun 12-3. The 10-day event is the largest celebration of handmade craft in the country and spotlights the work of American artists and crafts people throughout the nation. For the state-wide WV Craft Week, the Tamarack Artisan Foundation will feature artists from around the state with Open Studio tours and events at community arts venues. The Tamarack Artisan Foundation will market participating artists and the locations where West Virginia crafts are being made or are for sale. In addition, artists and artisans who register to participate will be listed on the American Craft Week website and have access to additional support resources. Participating West Virginia artists will not have to pay a registration fee because the Tamarack Artisan Foundation is a sponsor of American Craft Week. American Craft Week was founded six years ago by CRAFT – Craft Retailers and Artists for Tomorrow – to spotlight American crafts and encourage travelers to discover and experience the work of artists throughout the United States. Participating artists open their studios to the public for all or part of the designated week or show their work at local galleries or retail facilities. The Tamarack Artisan Foundation advocates and expands artisan entrepreneurship to foster a creative economy for West Virginia. The organization does this by marketing, supporting, promoting and sponsoring artists and artisans throughout the state to help them develop their skills and businesses. CRAFT is an association of galleries, shops, schools and artists dedicated to presenting and promoting work handmade in the U.S.A.